Always energetic Gildardo Martinez running the workshop in San Miguel. Gildardo Martinez, Senior Financial Advisor with Root Capital, has been working closely with the San Miguel Escobar and Ija’tz Cooperatives since June. Gildardo’s excitement, professionalism, and “chapin” (Guatemalan) demeanor invite participants in warmly. Always energetic and playful, attendance is high and engagement is higher. Since June, Gildardo has worked with each cooperative monthly on a variety of topics. Topics have included general cooperative organization and structure, motivation and inspiration, financial literacy, and strategic planning. Reading through organizational by-laws and understanding the legality of a cooperative doesn’t sound appealing. But, understanding the structure and processes through activities and games is Gildardo’s specialty. Working together to solve a logical puzzle. One of our favorite activities: Members of the San Miguel Escobar Cooperative were tasked with a logic puzzle. They had to move three white and three red pieces of paper across a table to reach the other side. There could never be more red than white pieces on either side and only one piece could be moved at a time. (A poor explanation, but it’s a logic puzzle). Anyway, the members of the San Miguel Escobar cooperative worked together, argued with each other, kept quiet, yelled, laughed, shouted some expletives, but finally reached a solution! Another exercise to foster communication within the group. Of course, the purpose of the logic puzzle wasn’t to actually reach a solution. It was to work together and understand their colleagues work and leadership styles. Gildardo was quick to point out that Andres, a lively member of the cooperative, was eager to order his colleagues to move the pieces this way or that way, but when his solution didn’t work, he was happy to step back and allow other voices to be heard. The puzzle proved to be a good example of having each person understand their personal leadership and communication style and also to be able to better understand those of their colleagues. Arnulfo, a member of the Ija’tz Cooperative in San Lucas Toliman said that the most beneficial part of the trainings has been accounting and cash management. Thinking out of the box might require going into the 3rd dimension. 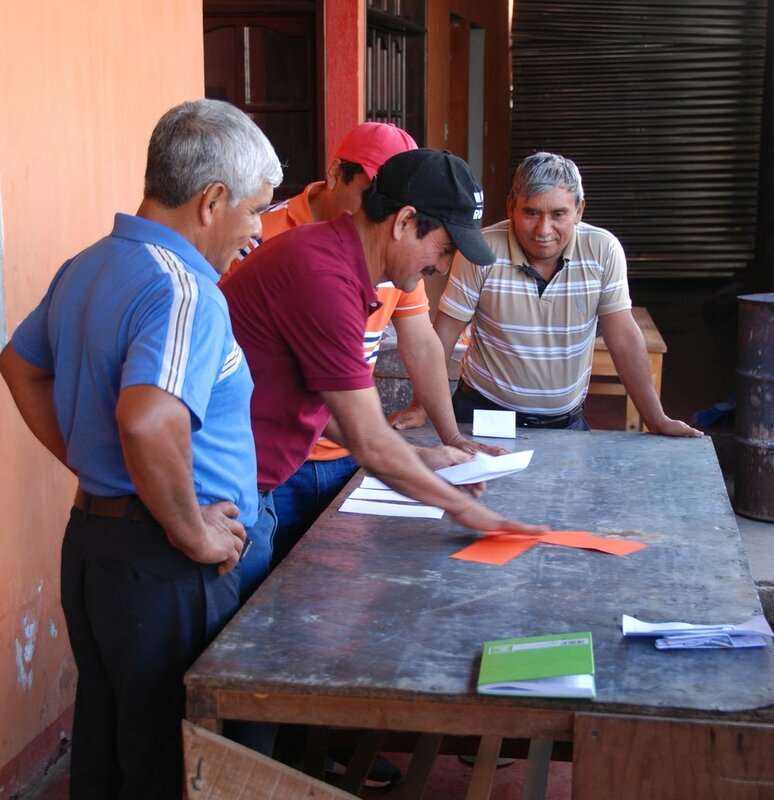 Before trainings began, Root Capital performed a thorough assessment of the needs and workings of each cooperative. Both San Miguel Escobar and Ija’tz scored high in some categories, such as technology and production, but low in finance and administrative management. Root will continue working with these two cooperatives and will begin working with La Suiza, located in San Marcos, in 2018. Topics will dive deeper into areas where each cooperative needs the most assistance. We are thrilled to be able to facilitate this opportunity, where our partner cooperatives continue to grow as autonomous, democratically-run organizations. If you would like to support the work Root is doing with our partner cooperatives, please click here. Newer PostAdd extra goodness to the act of giving this holiday season!